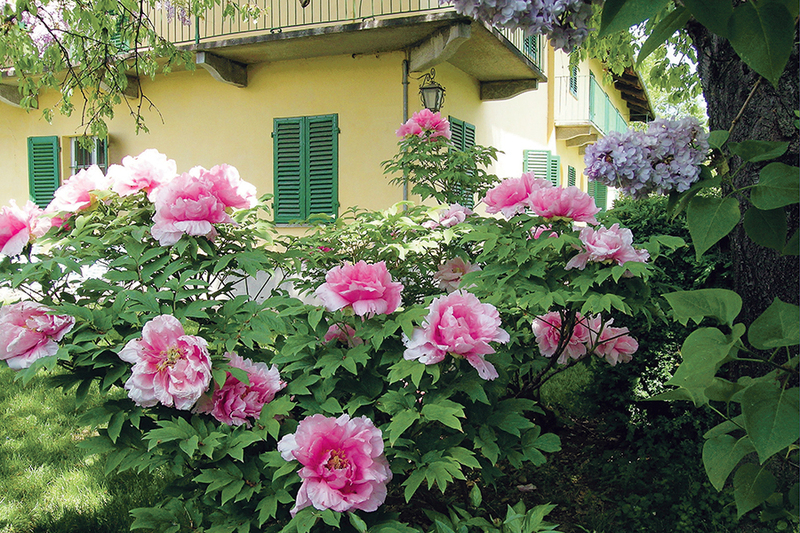 Herbaceous peonies, cited in Greek mythology, have been used in Italian gardens for centuries. Many species grow wild in Europe and some of them, cross-breeding amongst themselves or with Asian species, have given rise to innumerable hybrids. In herbaceous peonies, the aerial section dries completely during the winter. The spring shoots sprout directly from a 'crown' of buds positioned around the top of the roots a few centimetres underground. Its fleshy roots, which act as a storage tank for vital substances, allow the plant to survive the winter intact. 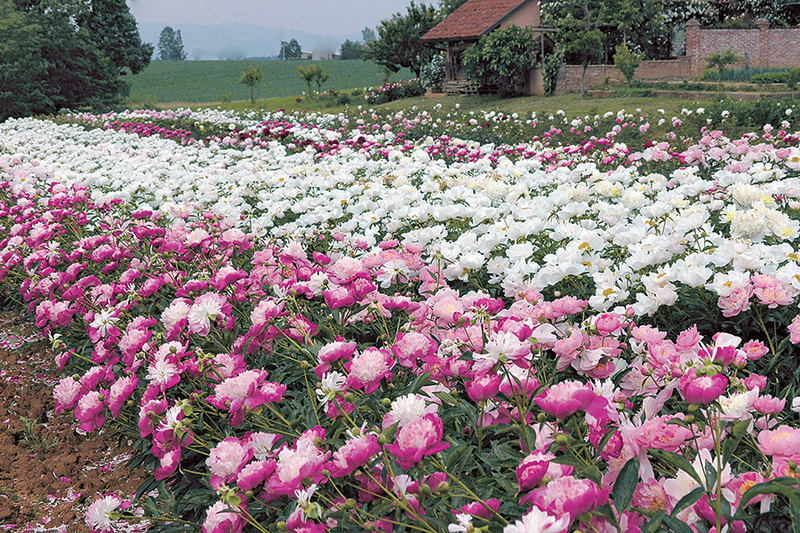 Therefore, herbaceous peonies develop numerous stems every year that sustain leaves and, on top, flowering buds. 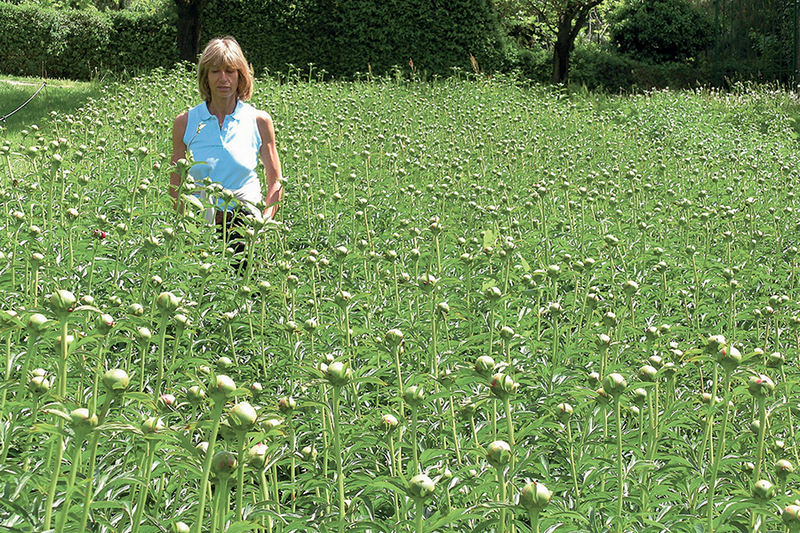 Herbaceous peony plants, like all perennial herbaceous plants, grow horizontally while retaining the same height during the course of their lives. The peonies traditionally grown in our gardens belong to this category and they are usually called Chinese peonies. 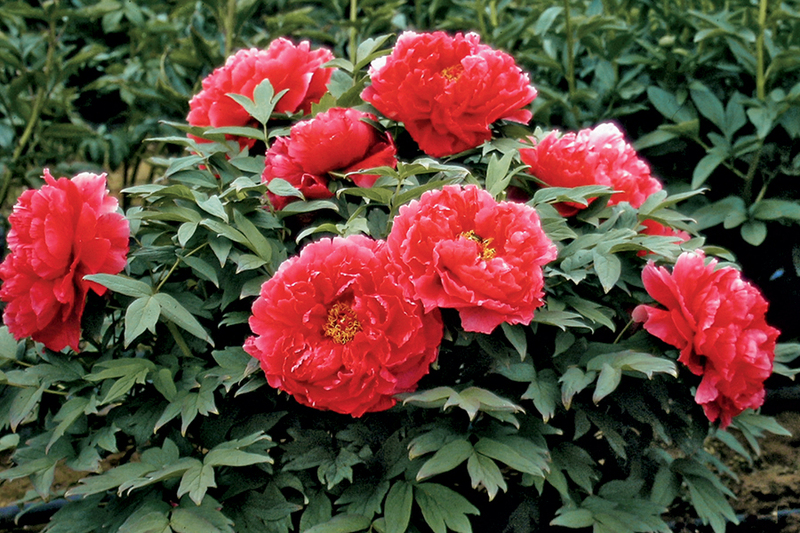 The peonies in this category selected for our collection are characterized by very strong stems; otherwise, these plants have a tendency to bend under the weight of the flowers. Herbaceous peonies, which were already described in Greek mythology, have been used in gardens for centuries. In Europe many species exist in the wild; some them, having been crossed among them and with Chinese species, originated a lot of hybrids with unusual and spectacular colour. 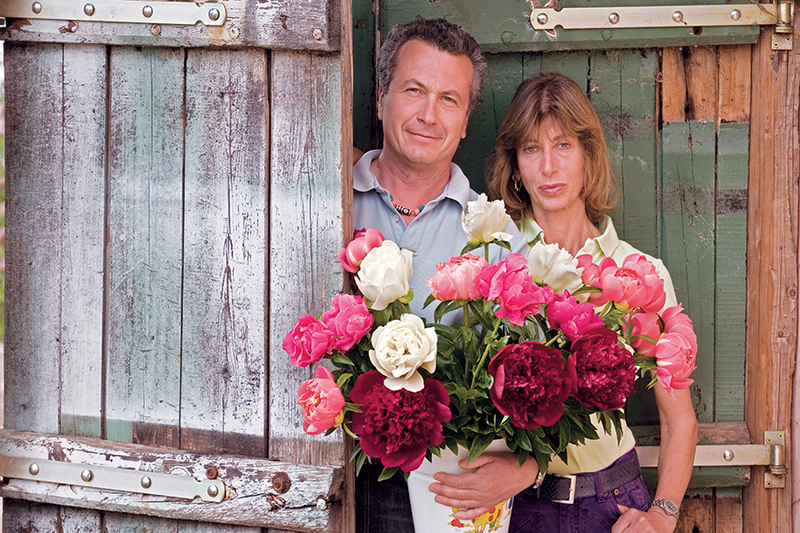 Peonies species and their ancient varieties are the ancestors of over 3,000 varieties and hybrids known today. Such plants are less showy than their descendants but display great elegance and beauty. They are also very rustic and hardy in their native habitats but, for this very reason, they are generally more difficult to grow than the modern varieties, which are highly adaptable to different climatic conditions. The flowers are always simple, with colours ranging from pure white to yellow and pure red, as well as all the shades of pink you care to imagine. Only three species: Paeonia lactiflora, emodi and veitcii characteristically form secondary buds; this has been transmitted to their progeny. The lifespan of the flowers of the botanical species is shorter than that of the modern varieties, but they are very important because they allow us, due to their precociousness, to extend the flowering period. 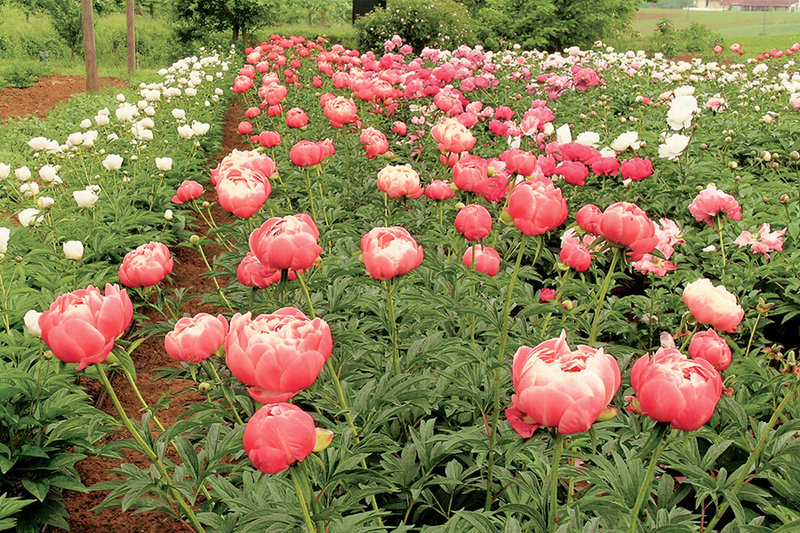 This category conventionally includes all the varieties of single flowered Paeonia lactiflora and those peonies whose genetic selection brought to the partial or complete disappearance of the stamens. The latter are commonly called Japanese or anemone types flower peonies.